Now the police are the last of his worries. HER JOB IS SIMPLE. SHOW THE PRIZED BOTTLE TO THE PUBLIC AND TELL ITS STORY. OF STRANGE BEHAVIOR IN THE MUSEUM. Everything he read was true. AND REPORT any suspicious behavior to security. WILL SHE CRACK THE CASE IN TIME? 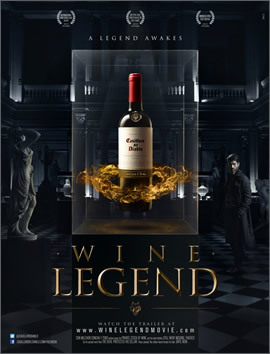 CENTURIES AGO, DON MELCHOR DE CONCHA Y TORO SPREAD WORD THAT THE DEVIL WATCHED OVER HIS CELLAR. THE RUMOR GREW INTO A LEGEND. A JEWEL OF A WINE, CASILLERO DEL DIABLO IS CRAFTED WITH A CAREFULLY SELECTED GRAPES FROM CHILE'S BEST WINE VALLEYS. 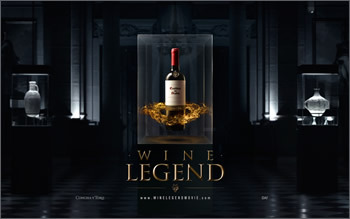 The Casillero del Diablo collection is recognized for its value and character.